This jewel area of the Caribbean hosts yachting year-round, with a rainy season from July through October. From its distinctive cuisine to its language, The Windward Islands exude the ambiance of Paris with the warmth, friendliness and spice of the West Indies. As with most of the Caribbean, The Windward Islands yacht charter season runs from November through to July. The types of yacht charters available for a vacation in the Windward Islands are all the main types including motor, sailing, skippered, crewed yachts, catamaran, power boat, sailboat, luxury yachts and superyacht charters. Martinique is the largest of the Windward Islands charter area and also known as Madinina, or Island of Flowers, Martinique, is renowned for its scenic beauty. The 425-square-mile island is speckled with plantations producing guavas, mangos, papayas, bananas, pineapples, sugar, cinnamon and coffee and is home to countless varieties of plants, trees and flowers including hibiscus, frangipani, bougainvillea, poinsettias and nearly 100 species of orchid. Martinique is a French overseas territory and has strong French influences with Parisian style bistros and quaint narrow streets. The island of Martinique has several ship wrecks to dive and plenty of sites to visit including the islands volcano Mt. Pelee, a trio of stunning coves at Les Anses-d’Arlets and the towering fortress of Diamond Rock. A good place to start your yacht charter vacation around Martinique is Fort de France. The charming capital is built overlooking the magnificent yacht filled marina. From you berth, you can glance up into the narrow streets of the decidedly French town. Fill your galley fridge with treats for your yacht charter holiday from the Parisian style bistros and fresh fish and vegetable markets. Sail up the coast to the historic St. Pierre. The eruption of Mt. Pelee, about a century ago, has transformed this site into a “New World Pompeii”. A great way to see St. Pierre is to take the Cyparis Express, a charming little train that offers tours of the area. The impact of the eruption can also be seen beneath the seas, with twelve wrecks to dive offshore and enjoy the tranquillity of two miles of perfect sand on the southern beach of Grand Anse des Salines. Martinique has a spirited Mardi Gras Carnival during a five-day period each February -March. The streets fill with rum-fuelled revellers and there are costume parades, music and dancing with much of the activity centred around La Savane in Fort-de-France. Saint-Pierre commemorates the 8th of May eruption of Mont Pelée with live jazz and a candlelight procession from the cathedral. Music lovers can enjoy the biennial week-long Martinique Jazz Festival, held in December on odd-numbered years, or the guitar festival held on even-numbered years. Martinique also has several major sporting events, such as the Tour de la Martinique, a week-long bicycle race held in mid-July, the Tour des Yoles Rondes, a week-long race of traditional sailboats held in early August and a semi-marathon around Fort-de-France in November. St Lucia is the sort of tropical paradise that a yacht charterer dreams about, with white sand beaches framed by the dramatic Atlantic Ocean on the east, and the calm Caribbean waters to the west. A St Lucia yacht charter offers some of the finest scenery in the Caribbean including St Lucia’s twin Pitons that tower 2000 feet over lush rainforest delightfully spotted with colored flowers, ancient ferns and exotic wildlife, interrupted only by plantations of tropical fruit. 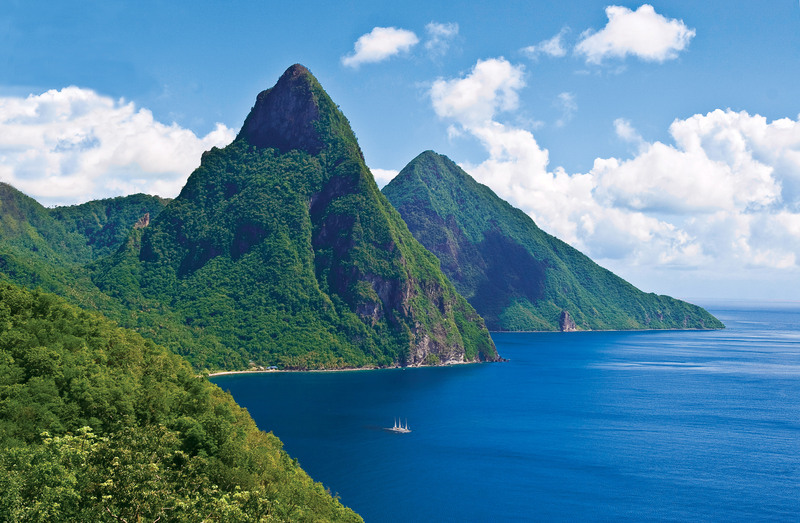 The geography of St Lucia creates a fantastic environment for outdoor activities of all kinds. 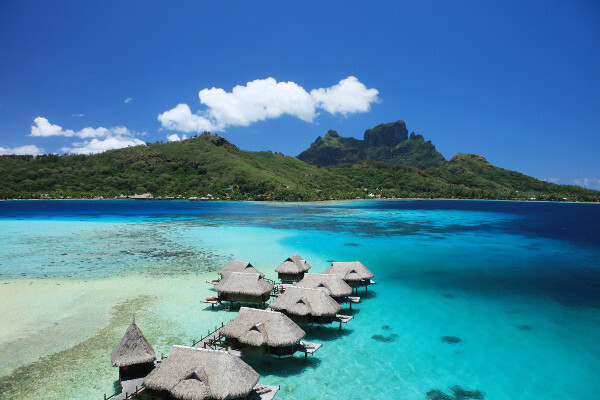 Steep coastlines and beautiful reefs offer excellent diving and snorkeling. Island waters are an anglers dream, filled with king mackerel, barracuda and white marlin. Saint Vincent is a volcanic island featuring a 3,000 foot volcano named Soufriere. Mountainous, covered in tropical greenery, there are no white sand beaches on this island, a stark contrast to the amazing pure white beaches found further South in the St Vincent and Grenadines island chain. The lack of beaches however, does make this island unique as it has remained largely unspoiled by the more commercial style of tourism. The interior of the island is largely undeveloped, with no roads crossing the island. The Grenadines are headed by St Vincent and consist of 32 islands and cays, stretching south to Union Island offering an incredible variety of charter destinations and diversions, in all directions. With gorgeous scenery and secluded beaches, calm anchorages and picturesque villages a Grenadines yacht charter has something for everyone. The Grenadines offer it all, from the bustling waterfront of Port Elizabeth on Saint Vincent, to the stunning natural beauty of the Tobago Cays. Young Island (Grenadines), Bequia, Moonhole Rock, Petite Nevis, Quatre, Bettowia, Baliceaux, Mustique, Petite Mustique, Savan, Petite Canouan, Canouan, Mayreau, The Tobago Cays, Union Island, Petit Saint Vincent, Palm Island and Mopion. A few of the islands are inhabited, but many are simply bird sanctuaries and environmental sites. Like all Windward Islands in the Caribbean, the Grenadines offer dramatic landscapes of lush tropical forests, framed by sheer volcanic backdrops. For a beautiful complement of great sailing, gorgeous scenery and impeccable diving, St Vincent and the Grenadines is the perfect choice for a yacht charter vacation. St. Vincent and the Grenadines lie between the tropic of Cancer and the Equator, approximately 1.600 miles southeast of Miami. The Grenadines form the southern-most segment of the 400 NM long chain known as the Lesser Antilles which separates the Caribbean Sea from the Atlantic Ocean and links South America and Trinidad to Florida and North America. The tiny island of Bequia in the Grenadines is a unique, relaxed and friendly island, tailor-made for sailing enthusiasts, yacht charterers, beach lovers and honeymooners. The island has a magical charm and fulfils many expectations of the perfect small Caribbean island charter destination with beautiful sandy beaches, lush green hillsides, attractive little villages and warm welcoming people. Mustique is a perfect yachting destination with a constant warm climate, private and unspoiled island lifestyle that attracts sophisticated international guests and yacht charters alike. The island is home to both quaint villages, with brightly coloured fishing boats lining the shore and magnificent island estates own by the rich and famous. Canouan is a small island that combines luxury and elegance with natural beauty and local charm. Until a few years ago, Canouan was one of the less developed islands of the Grenadines but now features luxury resorts, spas and golf clubs in the north of the island. The Tobago Cays consist of five islands offering incredible snorkeling opportunities on vividly colored coral reefs. The pure white beaches, gorgeous bays and stunning diving will provided you with some unforgettable memories on your yacht charter vacation. Mayreau is the smallest inhabited island in the St Vincent and Grenadines chain. The idyllic island of Mayreau is a great place to visit while on a luxury yacht, providing a step back in time with picture perfect natural landscapes. Electricity was only introduced to the island in 2002 which gives you an idea of the laid back lifestyle and experience you may have while visiting on a charter yacht. Also known as the Tahiti of the Caribbean, Union Island is a great yacht charter destination to include in your Grenadines yacht charter itinerary and is the southernmost island of the Grenadines, lying 90 kilometers southwest of Barbados and is within view of the islands of Carriacou and the mainland of Grenada, which lie directly south. The main town of Clifton offers small boutique shops and quaint bars and restaurants, all painted in vibrant Caribbean colours. To reach the charter destination of the Grenadines to pick up your yacht rental, you can fly into Union Island or St. Vincent. There are scheduled and air charter services to Barbados, Bequia, Mustique, Canouan, Union Island, Carriacou and Grenada. Charter flights to Martinique and St. Lucia, Antigua, Trinidad, Tobago, St. Barts. The Caribbean Island of Barbados is the most easterly island in the Lesser Antilles Caribbean chain of islands. Friendly and relaxed, Barbados is a relatively flat tropical Caribbean island with an abundant supply of large gradually sloping beaches punctuated by sandstone cliffs. Barbados is home to Mount Gay Rum and holds many festivals and sailing events every year. Barbados offers a great nightlife, shops and restaurants as well as many beautiful natural landscapes. Grenada is an island country consisting of the main island of Grenada and six smaller islands and is one of the most beautiful destinations in the West Indies. Grenada is known as the “Island of Spice” or the Spice Islands due its production of aromatic crops grown in its fertile soil. Grenada is a popular yacht charter destination because of its tranquil sea, beautiful climate, excellent sea conditions, and beautiful beaches and provides easy access for charter yachts to the Grenadines. 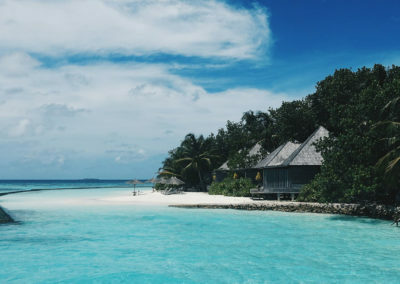 Apart from the large island of Grenada you can visit smaller islands on your charter yacht such as Petit Marynique, Caille Island, Diamond Island, Saline Island, Friagte Island and Large Island. Each of these islands has a totally unique experience to offer in terms of sightseeing attractions and activities to do on the island. The origin of Grenada is volcanic and you will see the volcanic formations in a significant part of the topography over the mountains. The climate is tropical and perfect for tourists. The virgin beaches are clean and they provide a private seclude for honeymooners. The best time of year for yacht chartering in Grenada is from November to April however it is possible to charter yacht any time of the year. Grenada also has an international airport providing easy access to begin your yacht charter. All types of yacht charters are available here including superyachts, motor yachts, sailing yachts, catamaran, monohull sailing yachts.